Directions: The best view of Moraine Lake can be taken from the top of the rock pile using the trail around it. Moraine Lake is short 15 minute drive from the nearby Lake Louise and close to 2 hour drive from Calgary International Airport though Highway 1. 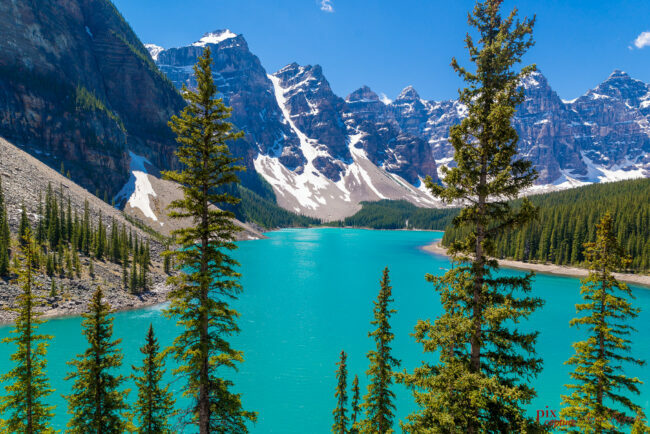 Moraine Lake is one of the most photographed lake in the world, it is surrounded by ten peaks mountains and it’s waters come from the glaciers. The best time to photograph this is during the golden hour, however, everyone can get a nice shot of the lake all season, spring, summer, fall or winter can give you a variation of scenery, from luscious greens in spring and summer to golden in fall and to white snowy background in winter. 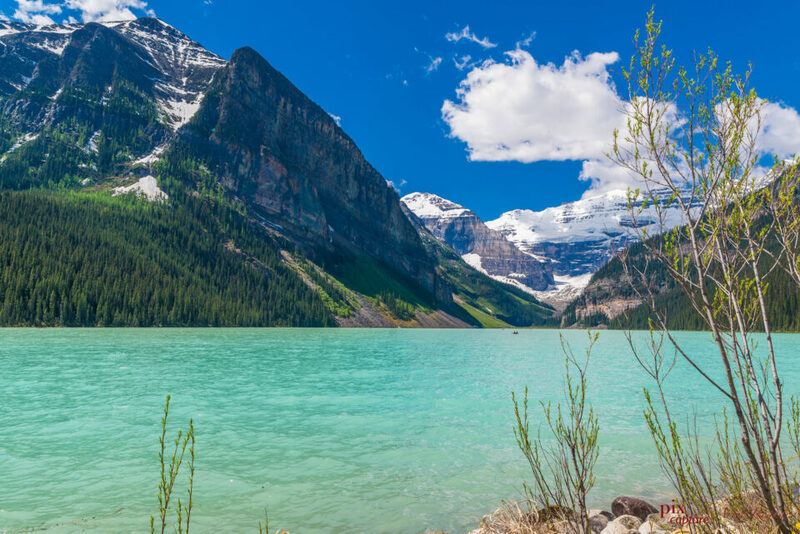 Nearby is another equally enchanting lake called Lake Louise which offers a wonderful scenery, a number of hiking trails from easy to a very challenging but rewarding. I found an old photo of Moraine Lake c and signed by Don Harmon. Just wanted to know if it was worth keeping. This is another great spot ruined by the herds of people that you will find there. Not long ago you could drive the Icefields parkway and pull into Moraine Lake at various times of the day and grab different shots depending on the light. Not anymore. In fact, you can’t even drive into Moraine lake anymore… you have to take the shuttle which originates about two miles down the road (a fleet of school buses actually). They still let the big tour buses drop off people at Moraine… and a few handicapped spots are available… but that’s it. It’s a beautiful place but those shots you see from the rocks above the water are hard to get. Mainly because they are covered with people all day, every day. It’s sad. I don’t know the solution… a lot of the popular Icefield stops are getting this way. Take the shuttle. It’s still worth a look. But your time will not be your own. The only solution I can think of is, to wait until a bear warning is in effect day.